The Sony Alpha A5000 Digital Camera in white is said to be the world’s lightest and smallest compact system camera to feature an APS-C sensor and built-in Wi-Fi, as well as an articulated 3.0-inch LCD screen. 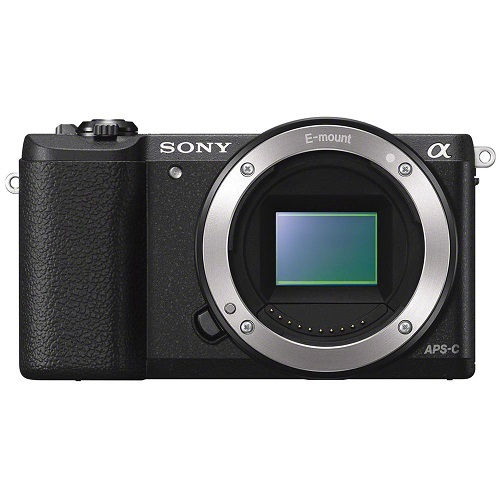 The Sony A5000 is designed for enthusiasts who want more control, better quality images and the flexibility of interchangeable lenses with the convenience of a lightweight and user-friendly design of a point-and-shoot camera. The A5000 offers an ultra-fast AF system with BIONZ X processor, Full HD movie recording, a built-in pop-up flash, up to 16,000 ISO sensitivity and a 180-degree tiltable LCD screen.
" The world's lightest Sony CSC body"
Go From Snapshot to Photograph The same sensor format that Sony builds into the full-sized Alpha DSLRs gives the ILCE-5000 13 times the area of the typical point-and-shoot image sensor. APS-C sensor size delivers an exceptional combination of high resolution, high sensitivity and gorgeous, blurred backgrounds to give even simple shots an artistic touch. 180-degree Tiltable Touch LCD Change your view with a tiltable LCD touchscreen that flips up 180-degrees without sacrificing compactness. See what you're shooting no matter where the camera is to take stunning self-portraits, perfectly framed low angle shots, and incredibly precise compose pictures. Built-in Pop-up Flash Perfect when an extra burst of light is needed to get the shot, the pop-up flash combined with high ISO sensitivity makes shooting in just about any challenging lighting situation a breeze. Shoot Full HD Movies Capture HD Movies in your choice of standard 60i or cinematic 24p frames per second, all at Full HD 1920x1080 resolution. The AVCHD codec delivers stunning Blu-ray picture quality while the PC-friendly MP4 codec lets you compress to smaller 1080/30p files for easier upload to the Internet. PlayMemories Camera Apps Personalize your camera by adding new features of your choice with PlayMemories Camera Apps. Apps include enhanced portraits, detailed close-ups, sports, time lapse, motion shot and much more. Use apps that shoot, share and save photos using Wi-Fi that make it easy to control and view your camera from smartphone, and post directly to Facebook.